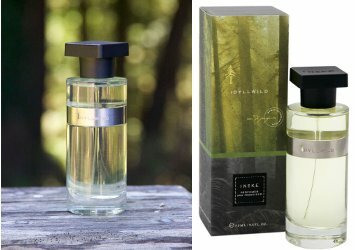 Niche line Ineke will launch Idyllwild, the ninth fragrance in the brand's alphabetical series. ...Ineke’s latest creation is a tribute to the natural wonders of California. A visit to Idyllwild, a small mountain town in California with the prettiest of names, was the starting point in this scent composition. Distillations of Douglas Fir and Ponderosa Pine contribute an aromatic freshness to the fragrance. A road trip further afield in California brings more elements to the table. Wildcrafted sagebrush from Big Sur and Monterey cypress oil capture the aromas that waft through open windows as you drive along the coast. Rhubarb tea provides an unexpectedly tart freshness. Cypriol and oud contribute a campfire smoke note. A unique combination of musks create a compelling drydown that needs to be experienced. Additional notes include grapefruit, lavender and cardamom. Ineke Idyllwild will be available in 75 ml Eau de Parfum. It’s been a long time since Hothouse Flower! I agree chocolatemarzipan8, plus Ineke is a lovely person. OH, right! Would not have thought of it. I’ve been to Idyllwild a few times and it is charming! We’ve only been in the winter (it’s 2 hours form San Diego so it’s the only time my kids have been in the snow! ), but need to do more exploring in the fall or spring. Curious about the scent -haven’t been in Anthropologie in a while, so wonder if they will have it. This one sounds worth a sniff. Hadn’t seen anything new from Ineke in a long time. I was starting to wonder if her brand was still around.